If you’re like me and Clay, you like being outdoors, enjoying the smell of fresh air, a sky full of stars and exploring nature. While I love receiving gifts for Valentine’s Day, taking a trip with my love is more romantic because we are spending time together and making memories. Clay works anywhere from 40 – 60+ hours per week so I love to take little romantic weekend getaways whenever we can. Sometimes we go to a cabin. But this past spring, we rekindled our love of camping. And there’s nothing better than a romantic weekend,for two, camping under the stars! If you’re in an area where it’s not freezing right now, a camping trip for two would make a wonderful and romantic Valentine getaway. If you have a pick-up truck or SUV I have the perfect solution to make it as romantic and easy as possible. 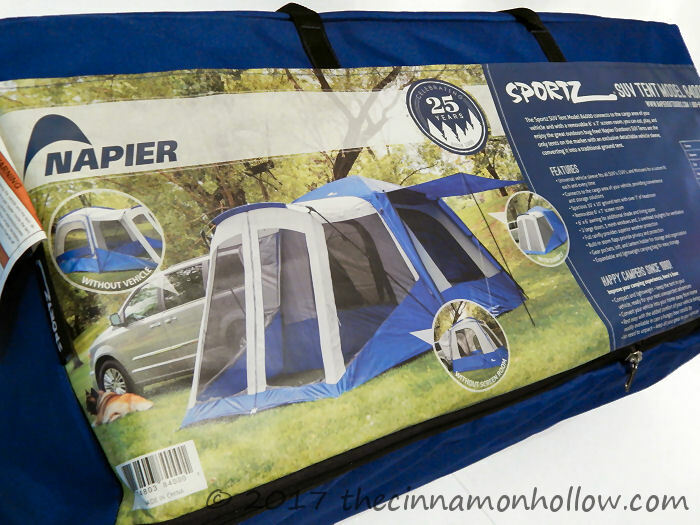 Napier Sportz Truck Tents. 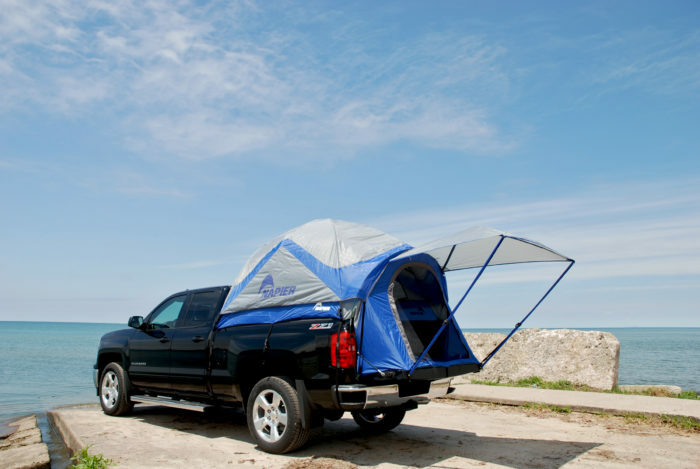 These tents go on the bed of your truck so no sleeping on the ground! They make setup super easy by utilizing color coded poles and sleeves. It takes 15 minutes from start to finish. 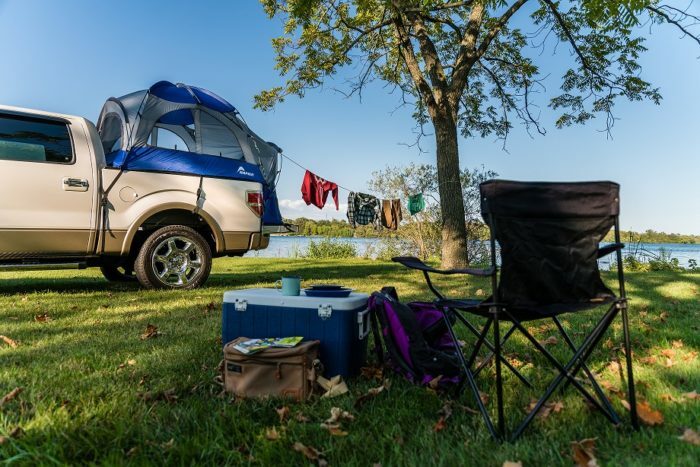 Napier Sportz Truck Tents 57 Series have an exclusive built-in floor, designed to keep you warmer and drier. You can use an air mattress for extra comfort. Install it in the back of your open-bed pickup. In case of stormy weather, all Sportz Truck Tents have built-in storm flaps in the windows and the door, and for additional coverage a full rainfly is included. Take along some good food to cook on the campfire, battery candles for ambiance and a bottle of wine and you have the perfect, romantic getaway! We don’t have a pick-up truck, other than Clay’s work truck so I won’t be personally showing you the Napier Sportz Truck Tent 57 Series. But I will be showing you one that can connect to our van! 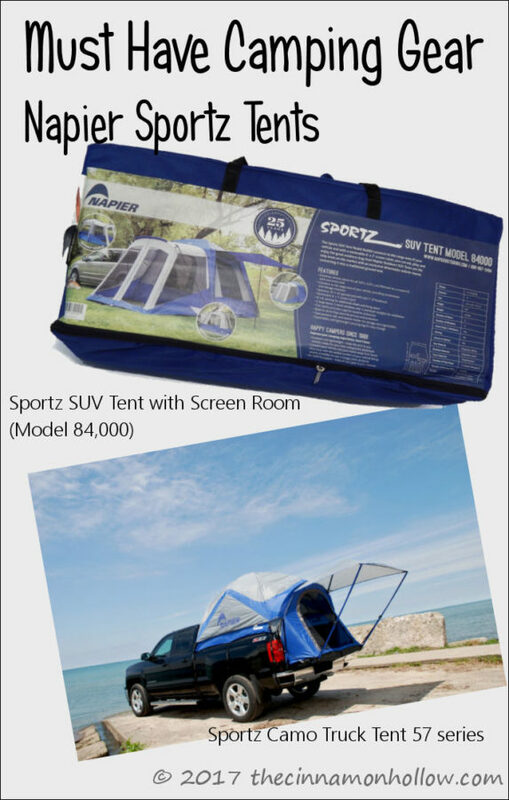 We have a camping trip planned for this spring and will be trying out the Sportz SUV Tent with Screen Room (Model 84,000). This tent has a sleeve that lets it attach to the back of our van. We can use the tent as a standalone tent, with the included screen room, with the included awning or attached to the back of our van. When attached, we can open the hatch and have access between the van and tent. We can keep all of our supplies right in the van for easy access without having to traipse back and forth in the night. And if we go camping in the mountains, we don’t have to worry about bears as much because if we hear something, we can jump in the back of the van and close the door without leaving the tent! I haven’t decided, yet, exactly how we’re going to do our “room” setup. We can either sleep in the tent and keep our gear in the van. Or we can set the tent up like a room with all our gear and then put the air mattress in the back of the van, with the seats down. We may have to try both ways! Either way, I’m really excited to try it out. And if we ever get a personal pick-up truck, I’ll definitely be investing in the Sportz Truck Tent too! I have a fondness for hunting camo so we’d get the Sportz Camo Truck Tent 57 series in the Mossy Oak Break-Up Infinity™ camouflage pattern. I love tent camping but having one up higher, off the ground, would be awesome! Do you enjoy tent camping? Would you ever consider a Romantic Camping Getaway for Valentine’s Day or Anniversary? thanks for the love!!! We can’t wait to hear about your camping adventure! Thank you! We can’t wait to try our tent!! !